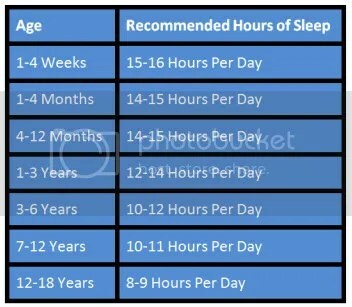 I had no idea that such young kids needed that much sleep. It kind of drives me to search what adults need because there are days where I get only a couple of hours of sleep. Do you think it goes out the window for what adults need sort of?.. I guess if parents stick to routine like your saying is a good thing for the kids to get used to. I have always put our kids to sleep super early because it gives us adults a little extra time to do things that we can’t while the kids are awake. Great share here. It’s cool to see little studies like this. It’s wild how much sleep little ones need. My niece is four and getting to the stage where she won’t take naps. Do you think it’s wise to still push for naps if the child doesn’t want one? For most children, naps begin to disappear after the third birthday. If she’s refusing, she may no longer need that afternoon nap. My own children gave up naps by three years old and I accepted that but I also still gave them quiet, rest time each afternoon. The other factor that is important to remember is that she still needs between 11 and 13 hours of sleep. Her bedtime may need to be moved up even earlier in order for her to receive all the sleep that her body needs.